Posted in: 1 Pageant Pages, 2 Shout-out-Looks. Tagged: Bosch Security Systems, Fontys Hogescholen, Johan Vos, Men Universe Model 2015, Mike Gerard Mendoza, Rogier Warnawa. 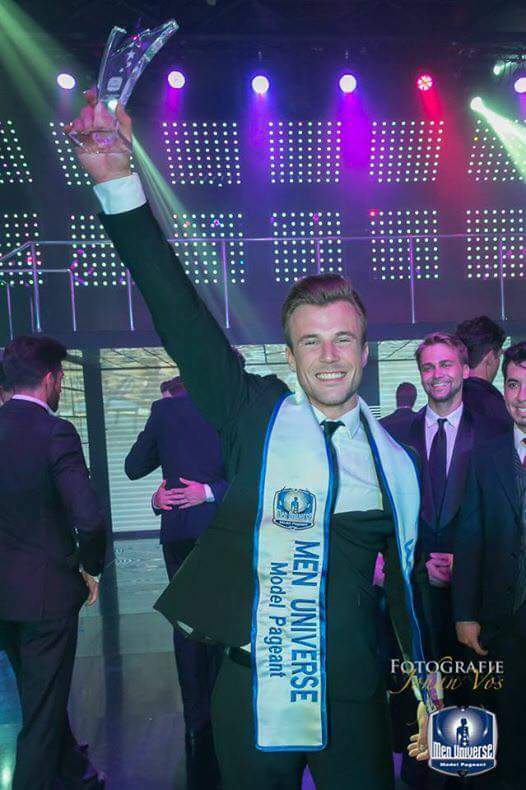 A 24 year-old student of Business, Economics and Marketing from Eindhoven in the Netherlands was elected Men Universe Model 2015 tonight in Santo Domingo, Dominican Republic. 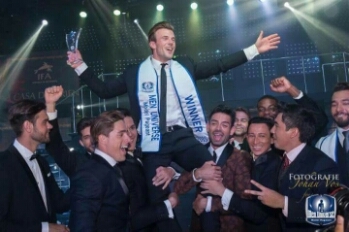 Rogier Warnawa was extremely elated after hearing his name being called as the winner. Runners-up include the delegates from Switzerland, Romania, French Guiana, Spain and Bolivia in that order of ranking. As for Mr. Philippines Mike Gerard Mendoza, he was fortunate enough to make it to the Top 13 of the competition. Rogier is currently a Graduate Student Intern at Bosch Security Systems and is on the final phase of completing his degree under the School of International Business and Management Studies at Fontys Hogescholen Eindhoven. He is looking forward to doing Management Consultant work as a profession. All photographs from the competition proper are courtesy of Johan Vos. Beckhams look alike on the 2nd photo!! !